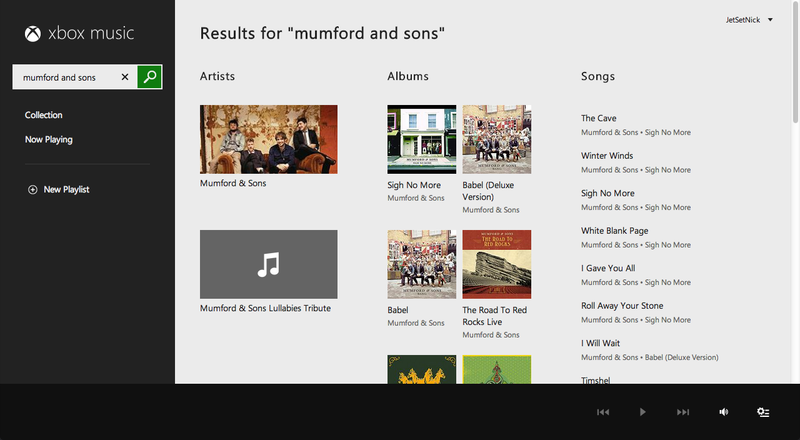 Microsoft has quietly pressed go on its Xbox Music Web client after the service went live online at music.xbox.com. The Web client — which was first spotted by The Verge — bears similarities to the recently renovated app for Windows 8.1 but, like most Web-based services, it is less feature-rich than a native version. The ad-free service scoops up a user’s music putting it into collections and playlists that already exist on the service. As you’d expect users can edit and add to their collections and playlists, with the results synced across all clients. A ‘now playing’ bar sits at the bottom of the screen, letting users control what they are listening to, the level of volume etc. One thing missing right now is a radio mode. That was announced at BUILD last week, so we anticipate that it will come soon, perhaps when the Web client is officially announced. The Verge also notes that iOS and Android apps are likely soon, so this is very much just the beginning for the service. As it stands right now, it is strictly for subscribers. 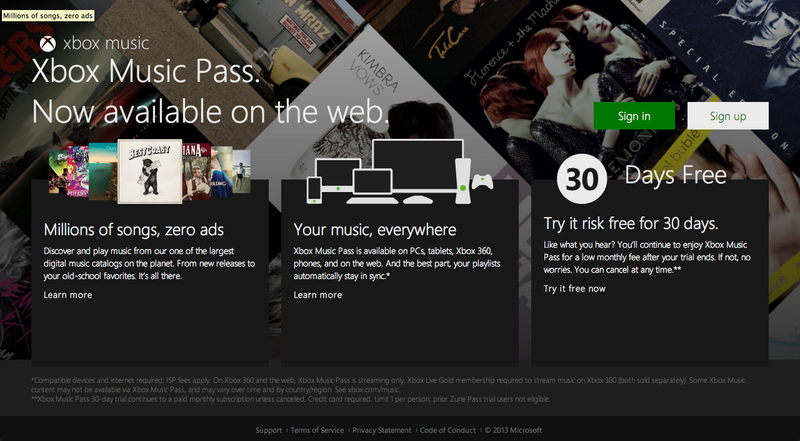 There is no free version — a la Spotify and Pandora — so Xbox Music doesn’t compete directly with other online music services. Non-members have the option of a 30-day free preview — which requires a Microsoft account and will need you to provide payment details — but it remains to be seen if Microsoft will choose to take the service down the free route in the future (that might see an ad-supported version emerge, perhaps). Certainly the Redmond-based firm’s use of the Xbox brand is interesting. Microsoft could just as easily have made a ‘Microsoft Music Player’, but this suggests that it realizes that its console brand is particularly strong — while this is also a sweetener for paying Xbox customers. To date, the Xbox Music service has been limited to Windows 8, Windows RT, Xbox 360 and Windows Phone 8 only, so putting it on the Web opens it to all Internet users. Of course, given the plethora of free apps out there, it wouldn’t make sense to focus on Xbox Music if you own none of the aforementioned Microsoft products — but a radio version and mobile apps might broaden its appeal.